Traditional landscaping and land development require a great deal of water, energy, labor, materials and other scarce resources. Because our communities are using more resources than ever before, the increased waste creates a negative impact on the environment. Sustainable landscaping is cost-effective, environmentally sound and fosters resiliency. It plays a key role in reducing the impact of population growth and development and offers solutions for problems such as pollution and waste. 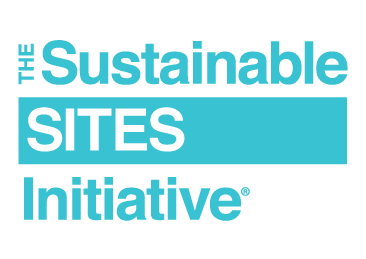 The Sustainable SITES Initiative (SITES) is the most comprehensive rating system for developing sustainable landscapes. Administered by GBCI, SITES certification is for development projects located on sites with or without buildings—ranging from parks to campuses, streetscapes to gardens. The SITES rating system is currently being used by landscape architects, designers, engineers, architects, developers, policymakers and others. Land that is SITES-certified is managed with the best practices in landscape architecture to conserve valuable natural resources, reduce waste and prevent pollution of air, water and oil. SITES-certified land also uses less water and reduces waste creation and disposal, requiring less maintenance over the longer term. To learn more about this rating system, engage with the SITES team at the upcoming American Society of Landscape Architects (ASLA) Meeting and Expo. Representing more than 15,000 members in 49 professional chapters and 72 student chapters, ASLA is the national professional association for landscape architects and is leading the design and stewardship of land and communities. Expo Floor: Visit our booth, #1356, on both Saturday and Sunday from 9:00 a.m.-6:00 p.m. Members of the team will be on hand to answer your questions. SITES Hackathon: On Friday, Nov. 6 from 1:00-5:00 p.m., join practitioners, emerging professionals and students as you hack through a SITES project submittal. Using a case study, workshop attendees with familiarize themselves with the SITES prerequisites and credits. Gain intimate, hands-on knowledge of these requirements, ensuring future success leading SITES projects. Ask the Experts of SITES: On Saturday, Nov. 7 from 2:30-4:30 p.m., get your SITES questions answered by the experts who developed the rating system, worked on project certification and have completed certified pilot projects. Attendees will learn how SITES can work for them, recognize solutions for successful certification, identify the lessons learned from hands-on experience with SITES-certified pilot projects and learn to apply the advice of certification experts to future SITES projects so they can solve common problems on their own. SITES Learning Lab: On Sunday, Nov. 8 from 2:45-3:45 p.m., hear about how the SITES program can provide a unique opportunity for the landscape architecture community to lead the way on sustainability at "SITES Rating System: Landscape Architects Leading on Sustainability." Have questions about SITES during the conference? Ask our experts on Twitter by using the hashtag #AskSITES.